Islamabad: Pakistan’s ousted Prime Minister Nawaz Sharif has passed the leadership baton to his brother, ensuring the continuation of a dynastic political system in a country where government has long been run as a family enterprise. In Pakistan’s stratified, semi-feudal society, patronage and kinship play a huge role in politics, often dominating ideology. Some analyst estimates said that more than half of seats — at both national and provincial level — have been passed from father to son, brother to brother, keeping the business of politics firmly within the family. 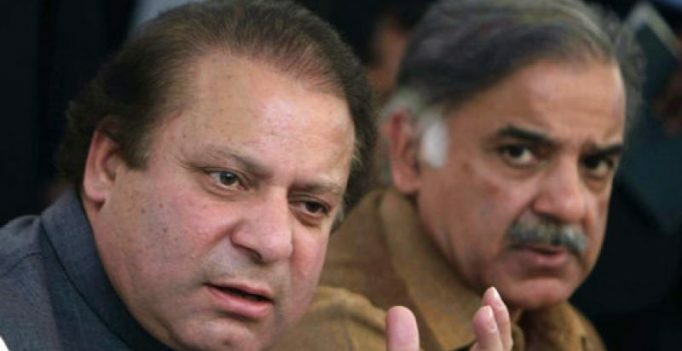 Sharif named his younger brother Shahbaz as his successor to the country’s top office in a defiant speech the day after he was disqualified by the Supreme Court on corruption charges. The move maintains the eponymous Pakistan Muslim League-Nawaz (PML-N) party’s hold on power, with Nawaz continuing to act as puppet master from his position as head of the party. “The subtext in all this is that Nawaz Sharif will still have an influence in how things are carried out until the next election and perhaps through the next election,” said political analyst Umair Javad. Meanwhile local media has reported that Shahbaz is lining up his son Hamza to take his position as Punjab Chief Minister, though he too must first be elected to his father’s provincial assembly seat in a by-election. “It’s the confidence of a political dynasty in its power that’s allowing it to make all these moves,” said Badar Alam, editor of the Herald magazine. But some warn that the PML-N will not rally behind Shahbaz — considered less charismatic than his older brother — in the same way that it did Nawaz, possibly fracturing the party. Another power dynasty, the Bhutto family and its Pakistan People’s Party (PPP) lost its footing after the 2007 death of its leader, the country’s first female prime minister Benazir Bhutto. Founded by her father Zulfikar Ali Bhutto, the PPP was once a formidable political force, dominating Pakistani politics for nearly four decades. But since Benazir’s assassination and despite being nominally led by her son Bilawal, the PPP has become a shadow of its former self, and lost 76 seats in the last general election in 2013. “The leaders have a much stronger brand than the parties. Benazir was always a much stronger brand than the Pakistan People’s Party. Nawaz Sharif is a much stronger brand than what the PML-N will be without him,” said Waraich. Similarly the country’s main opposition party, Pakistan Tehreek-e-Insaf, which paints itself as a grassroots movement, is ultimately centred around the personality of its leader, cricketer-turned-politician Imran Khan. “One of the appeals of Imran Khan is that he breaks this dynastic hold. But he only does it through the form of a personality cult,” said Waraich. Khan has lead the PTI since its inception over two decades ago, seeking to galvanise the youth vote and the urban middle class with a promise to root out corruption. But observers say he has still failed to turn PTI into a truly national party — and challenger to the PML-N dominance. Khan held a rally attended by thousands of dancing, celebrating supporters late Sunday in which he criticised the dynastic nature of the Sharif transfer of power. The outgoing Sharif now has to face down corruption allegations that have swept up three of his children, including his daughter Maryam Nawaz who had long been touted as his presumptive political heir. The family will likely be in and out of court for the next six months as investigators pick over every detail of their luxury lifestyle and extensive wealth. “It is a serious blow to dynastic politics that has been the biggest impediment to the development of democratic institutions and values in the country,” said political commentator Zahid Hussain in a recent column for the leading English-language daily Dawn, referring to the Supreme Court judgement that ousted Sharif. But, he concluded, while the death knell of Sharif’s political career has arguably been sounded, “one is not sure if the family rule is over”.